Thousands of public school students in Chicago and Waukegan were introduced to classical music through Ravinia’s One Score, One Chicago program. Romeo & Juliet, the great ballet written by Sergei Prokofiev in 1935, is this year’s selection. Prokofiev extracted music from the ballet into three orchestral suites and a 10-piece piano work. Students learned about the piece through various educational formats. 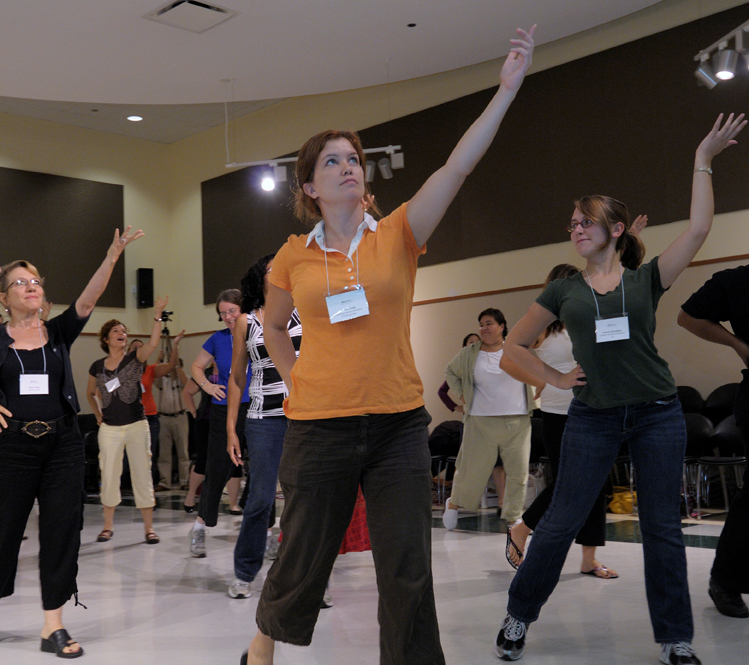 Ravinia’s REACH*TEACH*PLAY Education Programs provided workshops for over 100 Chicago Public School teachers on the ballet, Romeo & Juliet. During a workshop with Joffrey Ballet’s Community Engagement Director, Pierre Lockett, teachers learned the dance to the “The Montagues and the Capulets” scene and then took the choreography back to the classroom and taught it to their students. Additional workshops were led by Northwestern University music education professor Dr. Janet Barrett. One Score, One Chicago served as a focal point for Ravinia’s Guest Artist in the Classroom Program this year. Over 20 elementary schools enjoyed live performances by pianists or chamber musicians who performed Romeo & Juliet for students in grades k-3. Performers included pianists from Ravinia’s Rising Stars series, local musicians, members of the Ravinia Family and ensembles of Midwest Young Artists. On Tuesday, May 24 some 2,900 students from Chicago and Waukegan who received in-school instruction and performances of Romeo & Juliet came to Ravinia for an orchestral performance of the work. The renowned youth orchestra, Midwest Young Artists, performed selections from the ballet with narrative. The day included a dance performance from Burr and Fermi elementary school students during “The Montagues and the Capulets” and singing to the “Aubade”. The students danced and sang what they learned in the classroom as the orchestra played. Students from Chicago Public schools participating in Ravinia’s Music Discovery Program have done in-depth explorations of Romeo & Juliet during their school year residencies. They learned about Prokofiev and other Russian composers, his inspiration for composing the piece, and specific musical motifs found in the piece. Ravinia teaching artists and CPS classroom teachers introduced their students in grades K-3 to sections including “The Montagues and the Capulets”, “Aubade” and “Masks,” among others. Children interpreted the piece through movement and song at their schools throughout April and May. Schools included are Burr, Fermi, Yale, Banneker, Suder and Catalyst: Howland.